GTA area families raising Jewish children will now have more opportunities to participate in Jewish life, thanks to a grant recently awarded by the Harold Grinspoon Foundation. 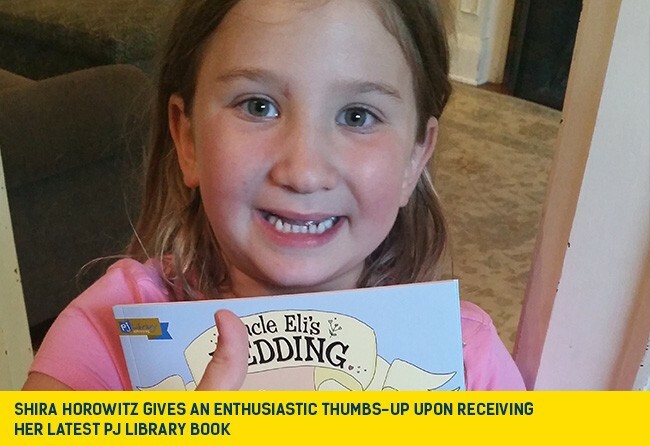 The foundation created PJ Library, which offers Jewish books and programs to families around the globe. UJA Federation of Greater Toronto received the grant to launch ‘Plug Into PJ’ which will see PJ Library partnering with numerous synagogues and other Jewish organizations to engage PJ Library’s community of close to 4500 young families in community programming. The winning initiatives emphasize building social connections among families as well as engaging them in Jewish life, programming, or learning. They range from ongoing neighborhood gatherings to Shabbat preparation workshops and dinners. The grant proposals were chosen through a competitive process open to local organizations implementing PJ Library across North America. The 15 winners were selected from among 55 applicants after they were considered by both PJ Library staff and external reviewers. These grants are the first stage in a five-year strategy to extend Jewish engagement in North America, through the support of the newly-formed PJ Library Alliance. Partners in the Alliance are the William Davidson Foundation; the Jim Joseph Foundation; the William and Audrey Farber Philanthropic Fund; the Howard and Geraldine Polinger Family Foundation; Walter, Arnee, Sarah and Aaron Winshall; the Susser Family Trust; and an anonymous partner.